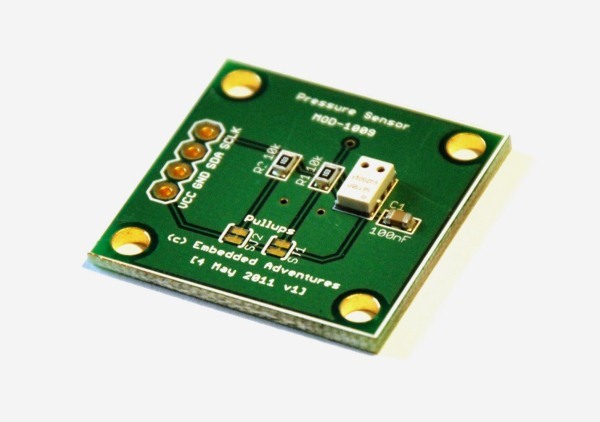 In searching for a good air pressure sensor, we decided to go for the best on the planet right now - the MS5611 air pressure sensor that returns a 24 bit result allowing you to measure the difference in air pressure of 10cm change in altitude. Easily accessable via I2C protocol. This product is the IC only and doesn't include the PCB.